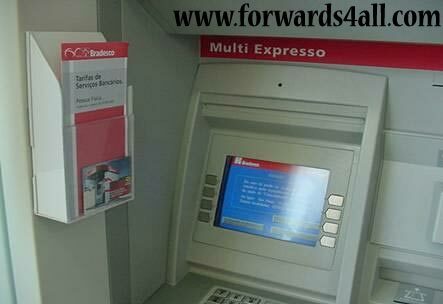 A team of organized criminals are installing equipment on legitimate bank ATM's in at least 2 regions to steal both the ATM card number and the PIN. The team sits nearby in a car receiving the information transmitted wirelessly over weekends and evenings from equipment they install on the front of the ATM (see photos). If you see an attachment like this, do not use the ATM and report it immediately to the bank using the phone on the front of the ATM. The equipment used to capture your ATM card number and PIN are cleverly disguised to look like normal ATM equipment. 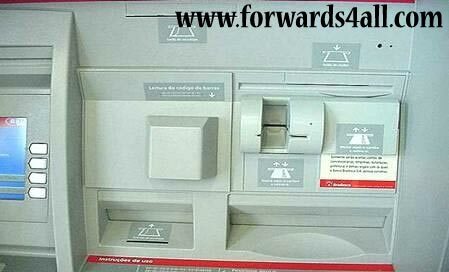 A "skimmer" is mounted to the front of the normal ATM card slot that reads the ATM card number and transmits it to the criminals sitting in a nearby car. 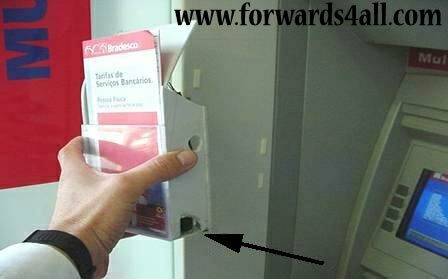 At the same time, a wireless camera is disguised to look like a leaflet holder and is mounted in a position to view ATM PIN entries. The thieves copy the cards and use the PIN numbers to withdraw thousands from many accounts in a very short time directly from the bank ATM. Equipment being installed on front of existing bank card slot. The equipment as it appears installed over the normal ATM bank slot. 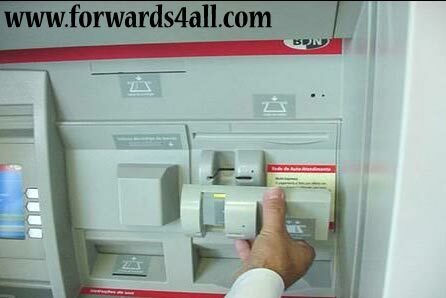 The PIN reading camera being installed on the ATM is housed in an innocent looking leaflet enclosure. The camera shown installed and ready to capture PIN's by looking down on the keypad as you enter your PIN.